Shopping cart tools offered by Magento are very well advanced and can easily be integrated by the owner in comparatively lesser time. They are built in a very user friendly nature and allow almost every currency. An owner can very conveniently upgrade the website. Adding all the latest features and functionalities has become very easy with it. Magento being an open source platform so transparency is always there, without any doubt. Future addition and edition is not an issue here. Magento websites are search engine optimization friendly, so you don’t need to be concerned about its traffic and ranking. You can easily make it popular among the prospected customers. Flexibility is a very fascinating option of a Magento website. You can add options, tabs, buttons, features etc. whenever you want. It’s easy to add plug-in too. Magento offers a hell lot of plug-ins. You can choose one that suits your business better. These are only a few features that Magento web development can offer you. 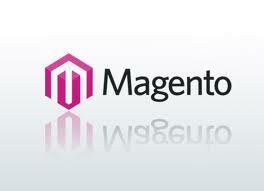 You will be amazed with the abilities of Magento when once you start using it. Your web store will get an edge over your competitors and users will also get a feel good factor while surfing your website.